According to pregnancy.com my baby is the size of a folded sweater...I really don't know how they come up with these things, there has got to be something closer to the size of my baby that isn't so weird...anyways...my baby's having a ball in there! Now that her senses are fully developed, she can taste, touch, hear, see, and smell everything that's going on around her. She continues to practice breathing by inhaling and exhaling amniotic fluid, which may mean she gets the hiccups more frequently now -- sending my uterus funny,twitchy spasms! Oh man! 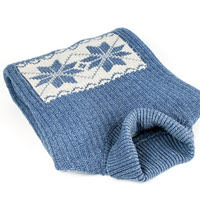 Your own little folded sweater! How sweet! Do you guys want to get together again? We could have a low-key night. Not so much..umm...I dunno.. Motorcycling when you're 7 months prego?! Haha. Let me know!